The impact of invasive alien species on native species is of increasing global concern. Invasive species can cause food-web shifts that have severe consequences for native species and ecosystems. However, the mechanisms by which the invaders influence the native communities are poorly understood. 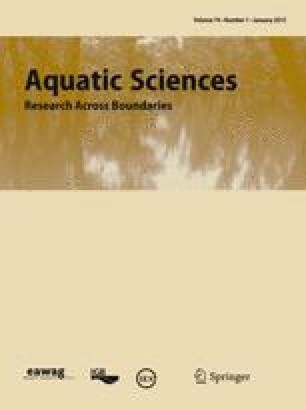 Here we investigated the interactions of the invasive Ponto-Caspian mysid Limnomysis benedeni with native freshwater zooplankton in laboratory and mesocosm experiments. This mysid migrates between benthic and pelagic zones and thereby forms a potential trophic link between these habitats. In laboratory predation experiments, L. benedeni fed both on Daphnia galeata and D. magna, and predation rates depended on the sizes of predator and prey but not on the availability of light. However, no predation was observed at prey sizes greater than 2 mm, which appears to be the upper size limit for a successful prey capture by L. benedeni. In outdoor mesocosm experiments, L. benedeni strongly decreased the densities of cladocerans, rotifers and copepod nauplii within a few days, while the densities of copepods were unaffected. Prey selection indices provide further evidence for strongly selective predation of L. benedeni on different zooplankton taxa. The presence of phytoplankton as an additional resource for the omnivorous mysid led to a lower predation pressure of L. benedeni on Cladocera and rotifers, indicating that the presence of alternative prey modulates the strength of the top-down effect of invasive mysids on the zooplankton community. These results suggest that the invasion of L. benedeni can have profound and complex impacts on the community structure of the native zooplankton fauna and that mysid invasions potentially have whole-ecosystem consequences. We would like to thank Cassandra Derreza-Greeven, Ulrike König and several volunteer students for assistance in the field and in the lab. Thanks to Petra Merkel for the analysis of particulate organic carbon and to Helmut Hillebrand for providing the mesocosm containers. Comments and suggestions by Eric von Elert and an anonymous reviewer greatly improved this manuscript.